Hi all! 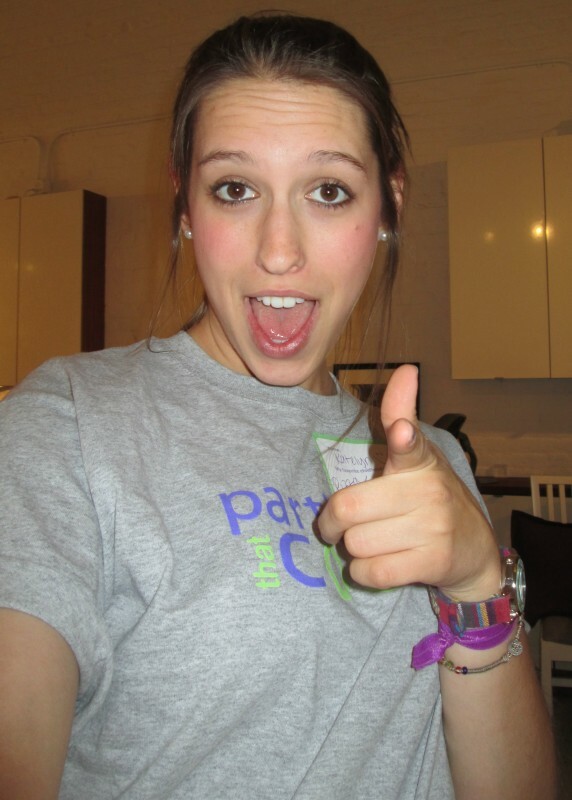 My name is Katelyn and I’m the marketing, event, and anything-we-need intern; I do it all! I made the journey from Missouri to San Francisco because I wanted experience in the events industry. 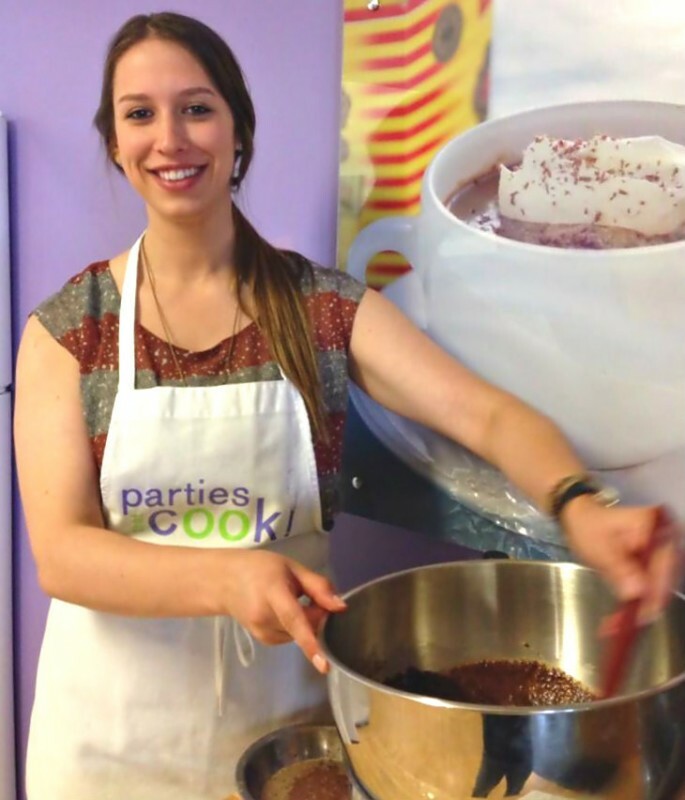 After a few wrong turns, I was lucky enough to land an internship with Parties That Cook. This company has opened my eyes to the world of events focused around food. Doesn’t get much better than that, does it? Once I settled in, I knew this was where I was meant to be. The coolest part of working at PTC is that I get to dip my toes in so many different departments! I’ve only been here three weeks and I’ve already learned so much. From the difference between a head and clove of garlic (funny story), to the company “voice” as determined by the marketing team, I come to work every day and learn something new. In my first week, I was sent into the field to see the magic in action! Appetizer platters, a bounty of drinks, and the evening’s ingredients were laid out and ready for the guests. A group of about 15 lawyers arrived at the venue for their Chef’s Table experience. Things started off slowly, and dare I say, a tad awkward. Small groups chatted quietly by the entrance, snacking and unwinding with some beer and wine. Chef Lauren called our guests to the demo table, and still, crickets in the crowd. I was beginning to worry that this would set the tone for the whole night! As everyone was divided into teams to begin cooking, the energy of the entire room changed. People were laughing, talking, and getting their hands dirty! The group came alive as if someone turned on the lights. Music was blasting, food was flying, and the night was just beginning. Throughout the cooking and seated dining, everyone looked so relaxed and happy (I’m sure the booze had nothing to do with it). In order to create and enjoy a meal that was absolutely delicious, the team really had to communicate, delegate tasks, and most importantly, work together. I can’t imagine any other team building event to be this much fun and taste this good! This is the most fun and fabulous place I’ve ever worked, and I’m truly grateful for this opportunity. I’m excited to see what Parties That Cook has in store for the rest of my internship! Funny post – Katelyn captured the essence of PTC events!